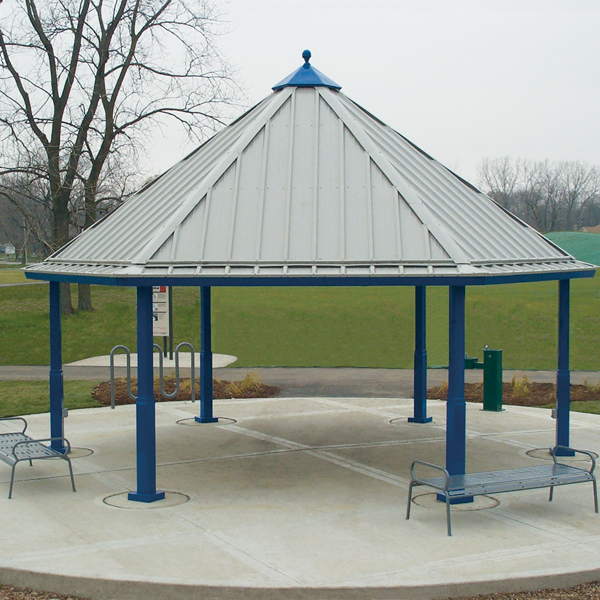 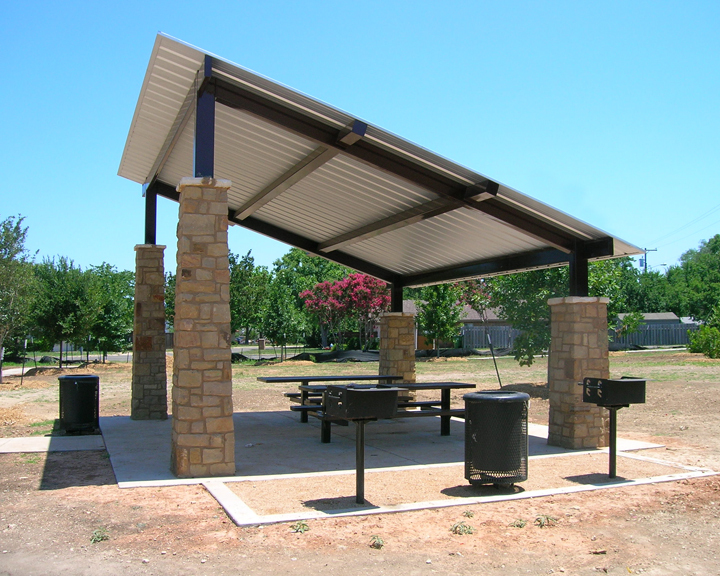 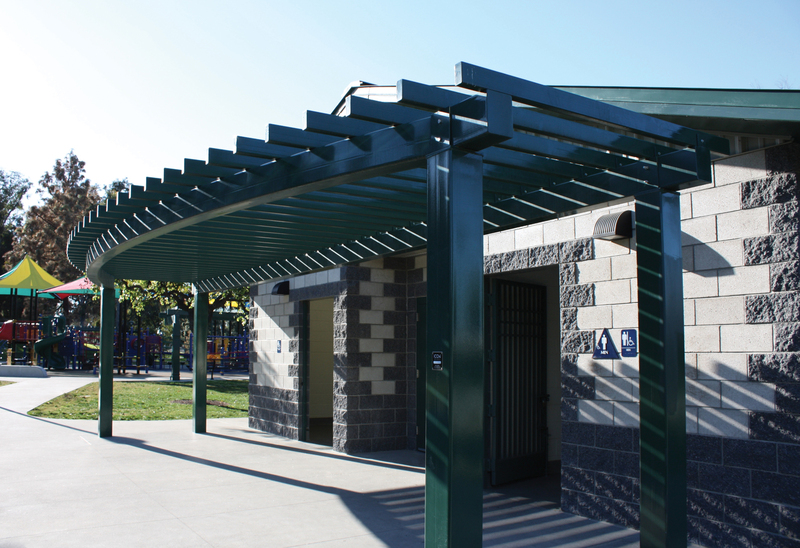 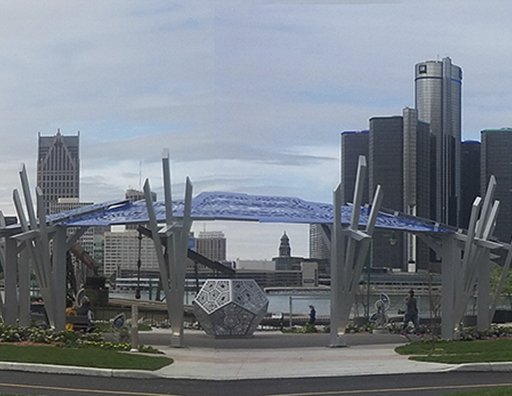 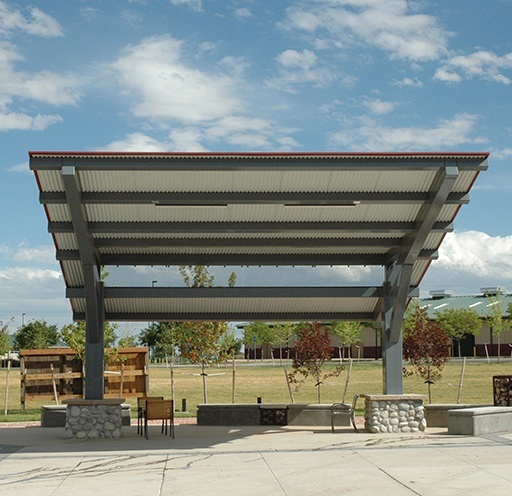 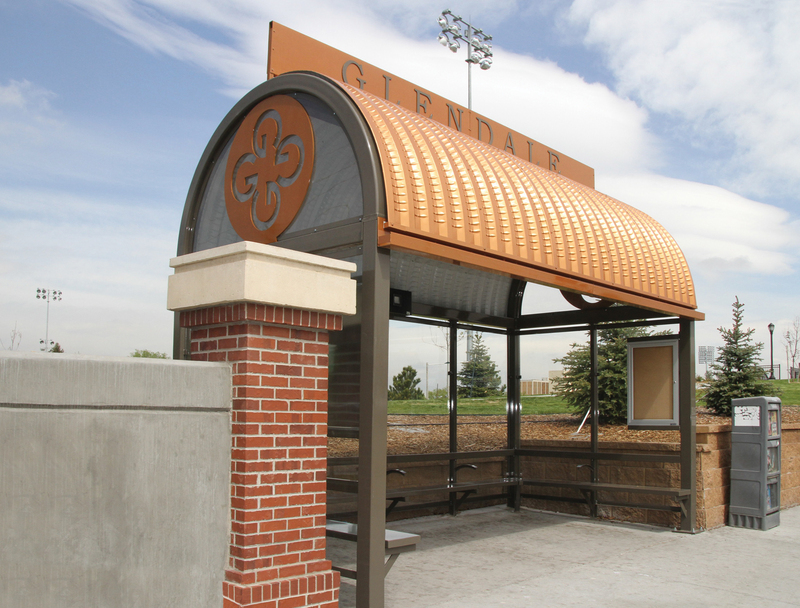 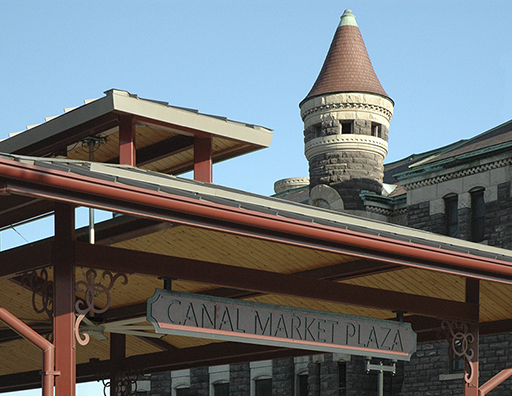 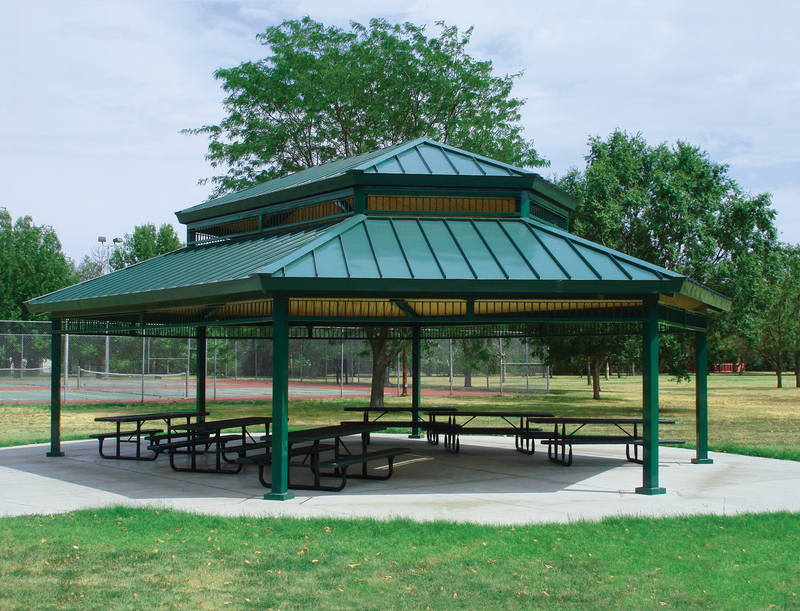 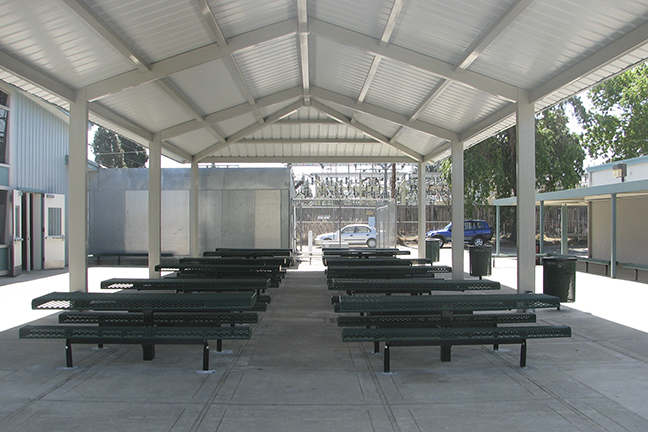 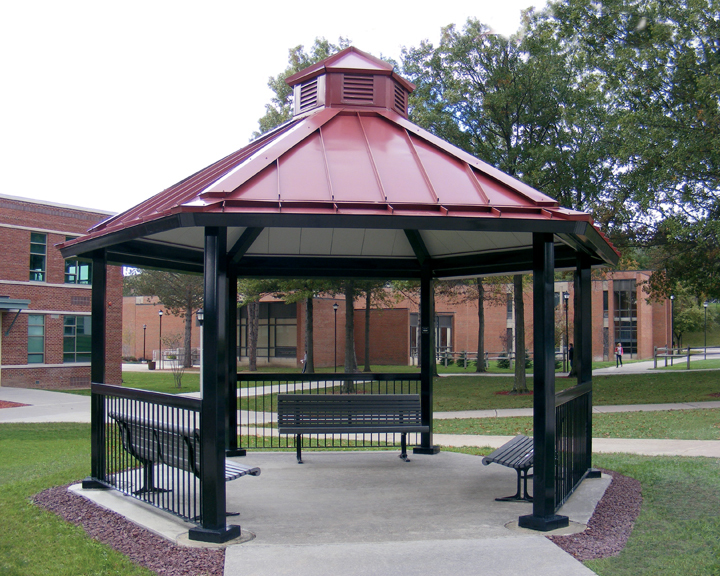 This is an abbreviated list of notable projects that have structures provided by ICON Shelter Systems Inc.. 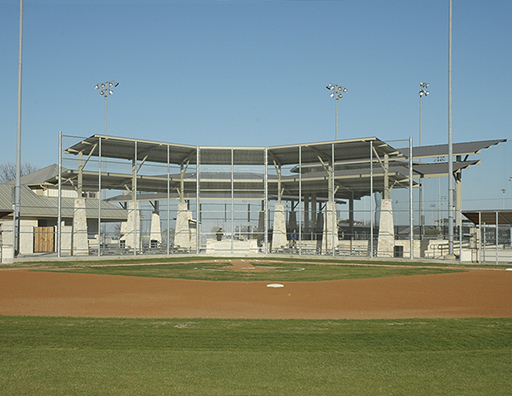 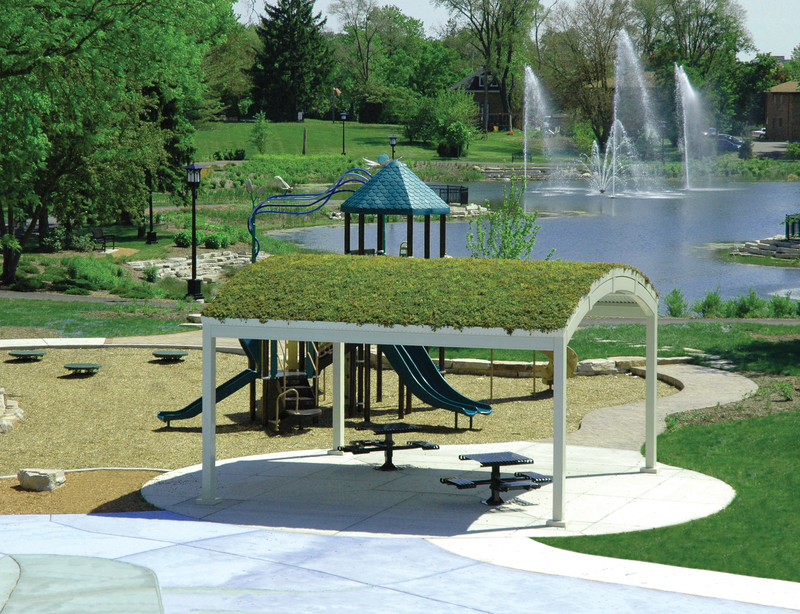 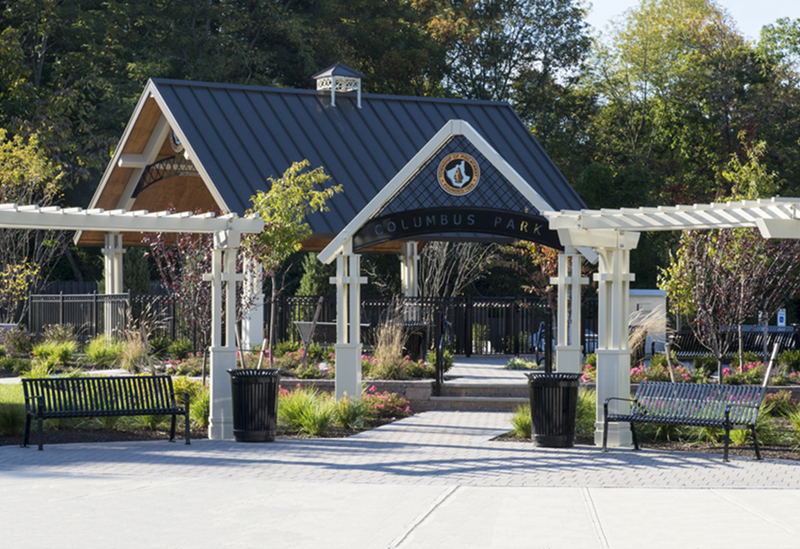 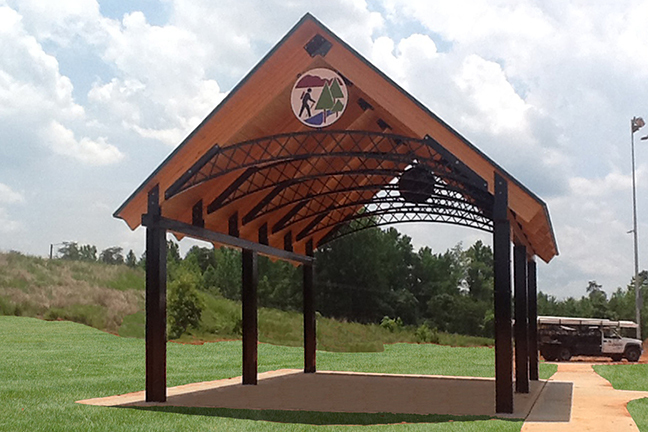 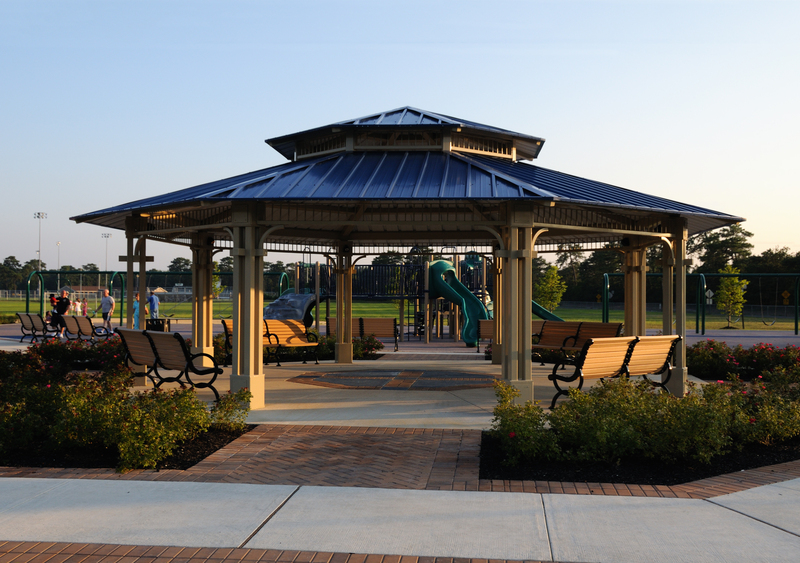 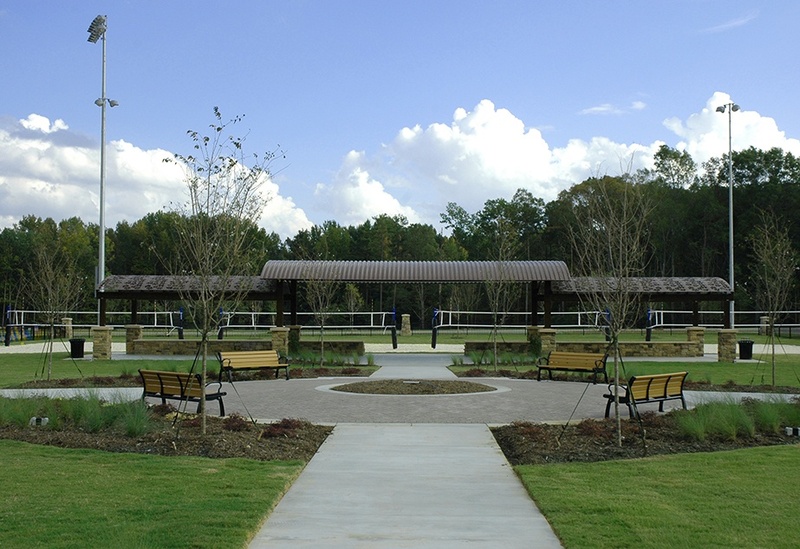 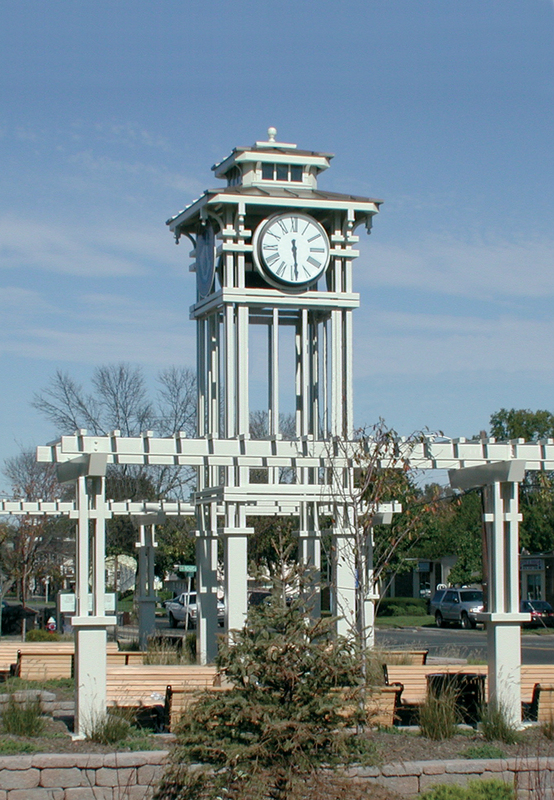 Chestnut Square Park in Indian Trails, North Carolina is home to four ICON structures. 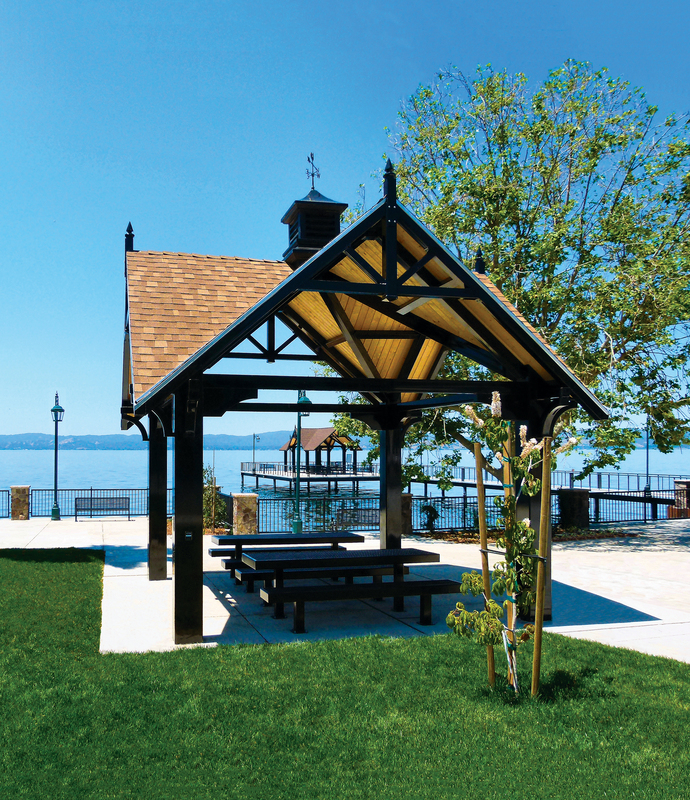 A Craftsman Rectangular picnic shelter measuring 22’ x 32’ sits right off the restroom structure, which is faced with a matching Craftsman porch. 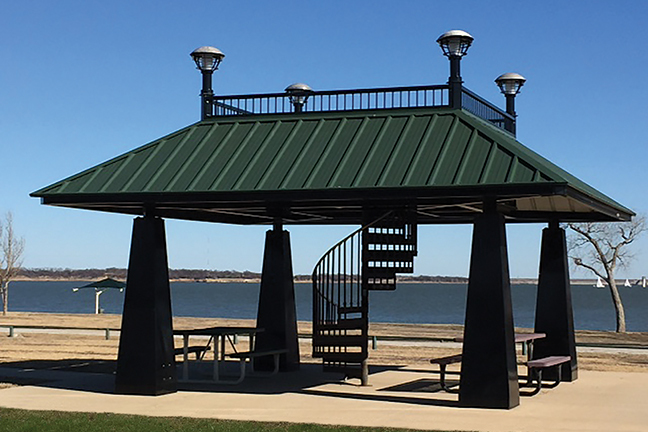 But the crown jewels of this project are two BV20X84G strctures that feature steel panels with magnolia cut-outs as part of the curved roof. 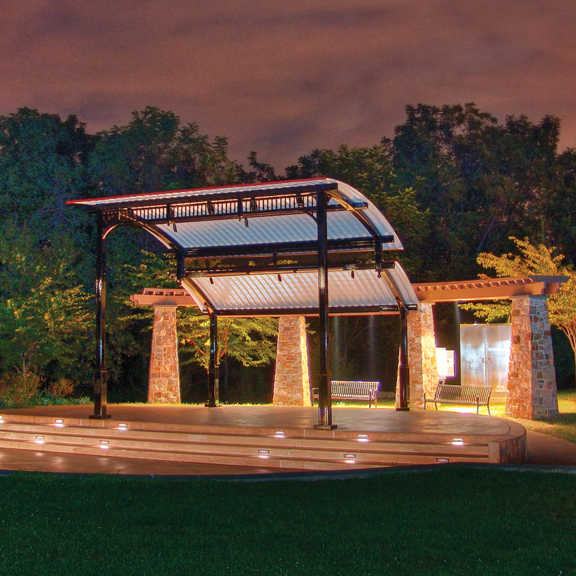 These “light panels” were specified by Site Solutions, and ICON was able to meet that spec.